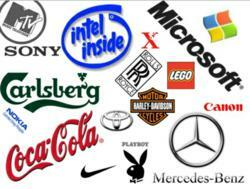 Value of Top 100 Global Brands more than $1.25 Trillion in 2011. The Wharton School’s Barbara Khan asks: How Do You Manage a Brand for Growth? Coca-Cola is the world’s most valuable brand, worth $71 billion, but it is actually limited as a brand. Kahn is clear that while brand is a mechanism for growth, ‘the issues of managing it are strategic ones before they are execution ones’. Meaning that while implementing advertising and social media campaigns may be where the customers see the brand activity, the real work has to come before that in identifying what the brand can accomplish and, just as critically, what the brand cannot do. ‘Coca-Cola is the world’s most valuable brand, worth $71 billion, but it is actually limited as a brand. It will extend comfortably to Diet Coke and Zero but it doesn’t work with orange juice for instance. The idea of OJ being twinned with the brown fizzy stuff is not appealing – so the firm only uses its company name to support its other products, its Minute Maid orange juice is discreetly branded as being made by the Coca-Cola Company.’ This is an approach famously used by Proctor and Gamble, where they have built up a ‘House of Brands’, with their products having their own standalone branding – who knows that Pampers nappies/diapers, Duracell batteries, Eukanuba pet food or Fairy Liquid all are owned by the same corporation? The ‘House of Brands-Branded House’ spectrum is a framework that can assist managers to plot where their brands lie and so what strategic growth opportunities are available to them. ‘It is not an either/or alternative’ says Kahn. The Marriott group maintains its high-end Ritz Carlton and Renaissance brands separately from the Marriott brand, but it also runs the JW Marriott hotels as the Marriott branded high-end offering. In between it uses endorsed brands, such as Courtyard by Marriott and Springfield Suites by Marriott to underline these brands’ Marriott connections. Kahn explains that it is important that there is a synergy between the product and the parent brand – both have to benefit from the association, she cites the damage done to Miller High Life beer by the launch of Miller Lite, where the impression of the ‘lite’ characteristic got transferred back to the original with adverse impact. Today Kahn acknowledges that managing brands is much more complex than it was previously as the channels to promote them to consumers have multiplied and it is important that all the channels work together to ‘keep the brand experience consistent’. The advent of social media and its rapid growth and development has made this task ever more challenging. While no-one can have all the answers to understanding this ‘omni-channel’ approach to brand promotion as it is changing all the time, Kahn, as Director of Wharton’s Retail Research Center, says that they have a huge number of examples to draw on as they follow a very wide range of sectors and channels and so are able to see emerging patterns and processes earlier than others. This allows them to quickly leverage this knowledge into the learning they can offer at the school. Barbara Kahn is Patty and Jay H. Baker Professor, Professor of Marketing and Director, Jay H. Baker Retailing Center, The Wharton School. She is the co-author of The Grocery Revolution: The New Focus on the Consumer (Addison-Wesley, 1997), a look inside the packaged goods industry and study of consumer behavior. She is an internationally recognized scholar whose research areas include consumer choice, variety seeking, brand loyalty, retail assortment, price promotions, and decisions under uncertainty/ambiguity (including medical and financial decision-making). 2. Read Barbara Khan’s full Insight piece on IEDP – Click Here.